Sophie and Josh Newman are 15 year-old twins who are working at their summer jobs in San Francisco when a mysterious man, John Dee, comes into Josh's workplace for a book, the Codex – or Book of Abraham the Mage. Josh witness both Nick and Perry.°°— Sophie witnesses Perry, the book store's owners, using magic. 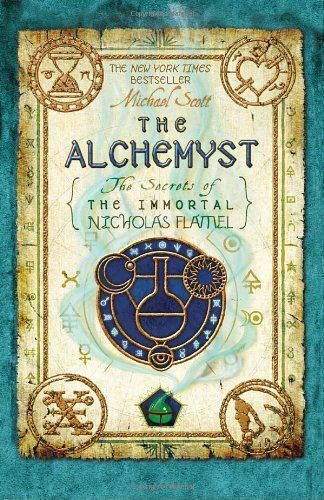 They discover that Nick is not an ordinary bookseller, but is the medieval alchemyst, Nicholas Flamel, being kept alive by making the elixir of life (a secret from the Codex) for him and his wife, Perry (Perenelle). Dee also uses magic and takes the Codex by force while Josh is holding it – resulting in two pages being left behind. Both Flamels need the Codex to make the elixir of life, or they will age rapidly and die within a month. Also, if they do not retrieve the Codex, Dee will summon the Dark Elders to destroy the world and return to an age in which humans are but slaves and food.